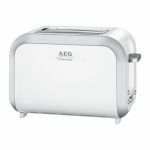 The New Classics Toaster 4 slice is a toaster and toasted sandwich machine in one and is suitable for toasting 4 sandwiches or two sandwiches and two toasted sandwiches at the same time. 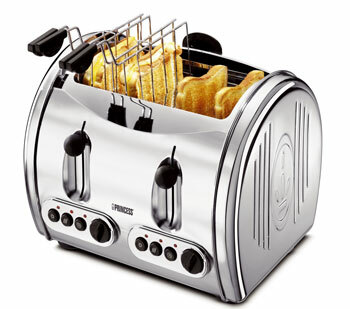 There is also a separate setting for toasting frozen bread, and the option of heating up toast that has cooled down. The extra large slot is even big enough for French bread! The toaster comes complete with 2 toaster clips and a rack for sandwiches. The temperature sensor, browning regulator, centring mechanism and stop button ensure a perfect result. 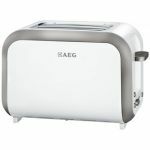 The bread can be easily removed from the toaster thanks to the bread lifting mechanism. The roller lid offers protection from dust and the crumb tray makes the toaster easy to clean. 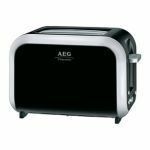 The New Classic Toaster 4-slice is a toaster and sandwich griller in one and is suitable for toasting 4 slices of bread or two slices of bread and two grilled sandwiches at the same time. The toaster comes complete with two toaster clips and a rack for sandwiches. The temperature sensor, browning regulator, centring mechanism and stop button are your guarantee of a perfect result. 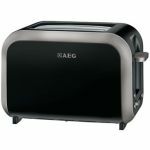 The bread can be easily removed from the toaster thanks to the bread lifting mechanism. The roller lid offers protection from dust and the crumb tray makes the toaster easy to clean.